LINCOLN PARK — Silicon Valley-style education is making its way from New York and California to Chicago, but the proposed school will first have to overcome opposition from neighbors and the city's zoning board. Altschool, a San Francisco-based for-profit school that uses technology to tailor student learning, wants to open a new location at what’s currently the Edge Bar & Grill, 2720 N. Clark St. In Alcott College Prep’s small cafeteria, Altschool’s CEO and founder Max Ventilla presented the new school proposal to fewer than 100 Lincoln Park residents Monday night. The school offers personalized learning plans for its pupils, using apps to curate curricula for students and to communicate with parents. According to the proposal, the school would have 10 teachers. Students would have alternating start times and enter the school using six spaces at the entrance, a source of concern for many of the residents due to the neighborhood’s current traffic congestion issues. 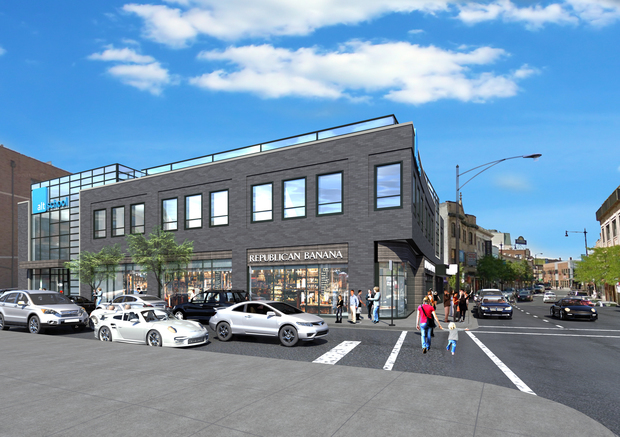 “If we can deal with traffic from Alcott, we can deal with this,” said former educator and Lincoln Park resident Bob Gilbert, adding that some of the neighborhood’s congestion could be attributed to the addition of local condos. While some residents were enthused about the school’s modern pedagogical concept, others, concerned with the already limited space on Schubert Avenue, questioned children’s safety during high traffic times, others wondered why Altschool chose the affluent Lincoln Park neighborhood rather than Chicago’s underserved communities. A traffic study was not completed at the time of the presentation to determine possible traffic outcomes. However, with 150 kids coming to school at different times and six drop-off spots available at the entrance, Ventilla said the traffic congestion could be addressed, given that some parents will walk or use public transit to get their children to school. Still, the proposal is in its early stages. The school won’t begin accepting applications until September 2017, with annual tuition set at $25,000. Plus, a zoning change is necessary in order for the project to continue, because it is currently zoned for a shopping district. The top of the proposed building will house Altschool, and the ground level will be for retail space. According to Ald. Michele Smith (43rd), the final decision lies with the zoning board of appeals, adding that citizens can voice their opinions during the public hearing on the matter.